When it comes to the safety and security of your home and workplace, there is no room for error. Safe Lock Solutions provide an extensive range of locks and security services for residential, commercial and auto locksmith jobs. At Safe Lock Solutions, your security comes first, therefore, we’ve developed unique methods to ensure that we offer highly effective solutions for all types of locksmith services. Our engineers are highly experienced and can tackle any job head on. 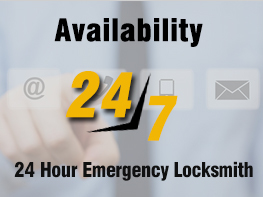 Equipped with the latest tools, our experts are always mobile and available 24/7 to assist you with any lock related issue on-site. Whether you need the basic emergency lock picking or the installation of an integrated security system, Safe Lock Solutions can do it all. Lastly, whether the job is big or small, far or close, we proudly service the liverpool area at all times of the day. With Safe Lock Solutions, you get the peace of mind that 1. Help is on the way. 2. The job will get executed to the highest standards.